Franz Uri Boas (/ˈfrɑːnz ˈboʊ.æz/; German: [ˈboːas]; July 9, 1858 – December 21, 1942) was a German-American anthropologist and a pioneer of modern anthropology who has been called the "Father of American Anthropology". His work is associated with the movement of anthropological historicism. Studying in Germany, Boas was awarded a doctorate in 1881 in physics while also studying geography. He then participated in a geographical expedition to northern Canada where he became fascinated with the culture and language of the Baffin Island Inuit. He went on to do field work with the indigenous cultures and languages of the Pacific Northwest. In 1887 he emigrated to the United States where he first worked as a museum curator at the Smithsonian, and in 1899 became professor of anthropology at Columbia University where he remained for the rest of his career. Through his students, many of whom went on to found anthropology departments and research programmes inspired by their mentor, Boas profoundly influenced the development of American anthropology. Among his most significant students were Manuel Gamio, A. L. Kroeber, Ruth Benedict, Edward Sapir, Margaret Mead, Melville Herskovits, and Zora Neale Hurston. Among Boas's main contributions to anthropological thought was his rejection of the then popular evolutionary approaches to the study of culture, which saw all societies progressing through a set of hierarchic technological and cultural stages, with Western-European culture at the summit. Boas argued that culture developed historically through the interactions of groups of people and the diffusion of ideas, and that consequently there was no process towards continuously "higher" cultural forms. This insight led Boas to reject the "stage"-based organization of ethnological museums, instead preferring to order items on display based on the affinity and proximity of the cultural groups in question. Boas also introduced the ideology of cultural relativism which holds that cultures cannot be objectively ranked as higher or lower, or better or more correct, but that all humans see the world through the lens of their own culture, and judge it according to their own culturally acquired norms. For Boas the object of anthropology was to understand the way in which culture conditioned people to understand and interact with the world in different ways, and to do this it was necessary to gain an understanding of the language and cultural practices of the people studied. By uniting the disciplines of archaeology, the study of material culture and history, and physical anthropology, the study of variation in human anatomy, with ethnology, the study of cultural variation of customs, and descriptive linguistics, the study of unwritten indigenous languages, Boas created the four field subdivision of anthropology which became prominent in American anthropology in the 20th century. In his dissertation research, Boas' methodology included investigating how different intensities of light created different colors when interacting with different types of water, however he encountered difficulty in being able to objectively perceive slight differences in the color of water and as a result became intrigued by this problem of perception and its influence on quantitative measurements. Boas, due to tone deafness, encountered difficulties studying tonal languages such as Laguna. Boas had already been interested in Kantian philosophy since taking a course on aesthetics with Kuno Fischer at Heidelberg. These factors led Boas to consider pursuing research in psychophysics, which explores the relationship between the psychological and the physical, after completing his doctorate, but he had no training in psychology. Boas did publish six articles on psychophysics during his year of military service (1882-1883), but ultimately he decided to focus on geography, primarily so he could receive sponsorship for his planned Baffin Island expedition. Anthropologist Frederic Ward Putnam, director and curator of the Peabody Museum at Harvard University, who had been appointed as head of the Department of Ethnology and Archeology for the Chicago Fair in 1892, chose Boas as his first assistant at Chicago to prepare for the 1893 World's Columbian Exposition or Chicago World's Fair, the 400th anniversary of Christopher Columbus's arrival in the Americas. Boas had a chance to apply his approach to exhibits. Boas directed a team of about one hundred assistants, mandated to create anthropology and ethnology exhibits on the Indians of North America and South America that were living at the time Christopher Columbus arrived in America while searching for India. Putnam intended the World's Columbian Exposition to be a celebration of Columbus' voyage. Putman argued that showing late nineteenth century Inuit and First Nations (then called Eskimo and Indians) "in their natural conditions of life" would provide a contrast and celebrate the four centuries of western accomplishments since 1493. This distinction between science and history has its origins in 19th-century German academe, which distinguished between Naturwissenschaften (the sciences) and Geisteswissenschaften (the humanities), or between Gesetzwissenschaften (jurisprudence) and Geschichtswissenschaften (history, historiography). Generally, Naturwissenschaften and Gesetzwissenschaften refer to the study of phenomena that are governed by objective natural laws, while the latter terms in the two oppositions refer to those phenomena that have meaning only in terms of human perception or experience. Although Kant considered these two interests of reason to be objective and universal, the distinction between the natural and human sciences was institutionalized in Germany, through the organization of scholarly research and teaching, following the Enlightenment. In Germany the Enlightenment was dominated by Kant himself, who sought to establish principles based on universal rationality. In reaction to Kant, German scholars such as Johann Gottfried Herder (an influence to Boas) argued that human creativity, which necessarily takes unpredictable and highly diverse forms, is as important as human rationality. In 1795, the great linguist and philosopher Wilhelm von Humboldt called for an anthropology that would synthesize Kant's and Herder's interests. Humboldt founded the University of Berlin in 1809, and his work in geography, history, and psychology provided the milieu in which Boas's intellectual orientation matured. "Ethnological phenomena are the result of the physical and psychical character of men, and of its development under the influence of the surroundings ... 'Surroundings' are the physical conditions of the country, and the sociological phenomena, i.e., the relation of man to man. Furthermore, the study of the present surroundings is insufficient: the history of the people, the influence of the regions through which it has passed on its migrations, and the people with whom it came into contact, must be considered" (Boas and Stocking 1989). These findings were radical at the time and continue to be debated. In 2002, the anthropologists Corey S. Sparks and Richard L. Jantz claimed that differences between children born to the same parents in Europe and America were very small and insignificant, and that there was no detectable effect of exposure to the American environment on the cranial index in children. They argued that their results contradicted Boas's original findings and demonstrated that they may no longer be used to support arguments of plasticity in cranial morphology. However, Jonathan Marks—a well-known physical anthropologist and former president of the General Anthropology section of the American Anthropological Association—has remarked that this revisionist study of Boas's work "has the ring of desperation to it (if not obfuscation), and has been quickly rebutted by more mainstream biological anthropology". In 2003 anthropologists Clarence C. Gravlee, H. Russell Bernard, and William R. Leonard reanalyzed Boas's data and concluded that most of Boas's original findings were correct. Moreover, they applied new statistical, computer-assisted methods to Boas's data and discovered more evidence for cranial plasticity. In a later publication, Gravlee, Bernard and Leonard reviewed Sparks and Jantz's analysis. They argue that Sparks and Jantz misrepresented Boas's claims, and that Sparks's and Jantz's data actually support Boas. For example, they point out that Sparks and Jantz look at changes in cranial size in relation to how long an individual has been in the United States in order to test the influence of the environment. Boas, however, looked at changes in cranial size in relation to how long the mother had been in the United States. They argue that Boas's method is more useful, because the prenatal environment is a crucial developmental factor. Boas was passionate about the collection of folklore, and believed that the similarity of folktales amongst different folk groups was due to dissemination. Boas strove to prove this theory, and his efforts produced a method for breaking a folktale into parts and then analyzing these parts. His creation of "catch-words" allowed for categorization of these parts, and the ability to analyze them in relation to other similar tales. Boas also fought to prove that not all cultures progressed along the same path, and that non-European cultures, in particular, were not primitive, but different. Boas, and his students such as Melville J. Herskovits, opposed the racist pseudoscience developed at the Kaiser Wilhelm Institute of Anthropology, Human Heredity, and Eugenics under its director Eugen Fischer: "Melville J. Herskovits (one of Franz Boas's students) pointed out that the health problems and social prejudices encountered by these children (Rhineland Bastards) and their parents explained what Germans viewed as racial inferiority was not due to racial heredity. This "...provoked polemic invective against the latter [Boas] from Fischer. "The views of Mr. Boas are in part quite ingenious, but in the field of heredity Mr. Boas is by no means competent" even though "a great number of research projects at the KWI-A which had picked up on Boas' studies about immigrants in New York had confirmed his findings—including the study by Walter Dornfeldt about Eastern European Jews in Berlin. Fischer resorted to polemic simply because he had no arguments to counter the Boasians' critique." ↑ "further information about the commemoration of the 150th anniversary of Boas's birth at Minden e. g. an exposition, a scientific meeting, a theatre play, a special medal, an edition of the diary of Wilhelm Weike, Boas´ servant on Baffin Island". ↑ Byron Kaldis (ed. ), Encyclopedia of Philosophy and the Social Sciences, SAGE Publications, 2013, p. 421. 1 2 3 Moore, Jerry D. (2009). "Franz Boas: Culture in Context". Visions of Culture: an Introduction to Anthropological Theories and Theorists. Walnut Creek, California: Altamira. pp. 33–46. ↑ Gossett, Thomas (1997) . Race: The History of an Idea in America. New York, Oxford: Oxford University Press. p. 418. It is possible that Boas did more to combat race prejudice than any other person in history. ↑ Glick, L. B. (1982). "Types Distinct from Our Own: Franz Boas on Jewish Identity and Assimilation". American Anthropologist. 84: 545–565. doi:10.1525/aa.1982.84.3.02a00020. ↑ Douglas Cole 1999 Franz Boas: The Early Years, 1858–1906 p. 280. Washington: Douglas and MacIntyre. ↑ Boas, Franz. 1938. An Anthropologist's Credo. The Nation 147:201–204. part 1, part 2 (PDF). ↑ Lowie, Robert H (1947). "Franz Boas, 1858-1942". National Academy of Sciences Biographical Memoirs. 24 (303-322): 303. ↑ Harris, 1968, p. 253. 1 2 3 Koelsch, 2004, p.1. ↑ Lowie, 1947, p. 303. ↑ Harris, 1968, p. 265. ↑ Speth, William W. 1999. How It Came to Be: Carl O. Sauer, Franz Boas and the Meanings of AnthropogographyEllensburg: Ephemera Press. p.128. ↑ Kroeber, A.L. (1943). 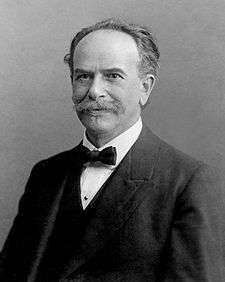 "Franz Boas: The Man. American Anthropological Association". Memoirs. 61 (5-26): 5. ↑ Williams, Vernon J., Jr. 1998. Franz Boas Paradox and the African American Intelligentsia. In V.P. Franklin (ed.) African Americans and Jews in the Twentieth Century: Studies in Convergence and Conflict. Columbia: University of Missouri Press. 54-86. p. 57. ↑ Kroeber, 1943, p. 5. 1 2 3 4 Williams, 1998, p. 57. ↑ Bohannan and Glaser, 1988, p. 81. ↑ quoted in Koelsch, 2004, p.1. ↑ Murray, 1993, p. 47. ↑ Marmon Silko, Leslie (1981). Storyteller, p.254. Arcade. ISBN 1-55970-005-X. His student Parsons stayed behind and documented Laguna language and stories. ↑ Liss, Julia E. 1995 Patterns of Strangeness: Franz Boas, Modernism, and the Origins of Anthropology. In Prehistories of the Future: The Primitivist Project and the Culture of Modernism. E. Barkan and R. Bush, eds. Pp. 114–130. Stanford. CA: Stanford University Press. ↑ Liss, Julia E. 1996. "German Culture and German Science in the Bildung of Franz Boas". In History of Anthropology, vol. 8. Volksgeist as Method and Ethic. G. W. Stocking Jr., ed. Pp. 155–184. Madison: University of Wisconsin Press. ↑ Harris, 1968, p. 264. ↑ Cole, Douglas 1983 "The Value of a Person Lies in His Herzensbildung": Franz Boas's Baffin Island Letter-Diay, 1883–1884. In Observers Observed: Essays on Ethnographic Fieldwork. George W. Stocking Jr., ed. pp. 13–52. Madison: University of Wisconsin Press. ↑ Cole, Douglas. 1999/ Franz Boas: Te Early Years. 1858–1906. Seattle: University of Washington Press. ↑ Truman, Benjamin (1893). History of the World's Fair: Being a Complete and Authentic Description of the Columbian Exposition From Its Inception. Philadelphia, PA: J. W. Keller & Co.
↑ "Bird's-Eye View of the World's Columbian Exposition, Chicago, 1893". World Digital Library. 1893. Retrieved 2013-07-17. ↑ Harper, Kenn. (1986/2000) Give Me My Father's Body: The Life of Minik, the New York Eskimo. South Royalton, VT:Steerforth Press. ↑ (The first American Ph.D in anthropology was actually granted from Clark University, though still under the leadership of Boas.) Moore, Jerry D. (2009). "Franz Boas: Culture in Context". Visions of Culture: an Introduction to Anthropological Theories and Theorists. Walnut Creek, California: Altamira. pp. 33. ↑ Allen, John S. (1989). "Franz Boas's Physical Anthropology: The Critique of Racial Formalism Revisited". Current Anthropology. 30 (1): 79–84. doi:10.1086/203716. ↑ Jackson, John P. (2005). Science for Segregation: Race, Law, and the Case against Brown v. Board of Education. NYU Press. ISBN 978-0-8147-4271-6. Lay summary (30 August 2010). ↑ Spiro, Jonathan P. (2009). Defending the Master Race: Conservation, Eugenics, and the Legacy of Madison Grant. Univ. of Vermont Press. ISBN 978-1-58465-715-6. Lay summary (29 September 2010). ↑ Sparks, Corey S.; Jantz, Richard L. (2002). "A reassessment of human cranial plasticity: Boas revisited". PNAS. 99 (23): 14636–14639. doi:10.1073/pnas.222389599. ↑ New Answers to Old Questions: Did Boas Get It Right? Heredity, Environment, and Cranial Form: A Reanalysis of Boas's Immigrant Data. ↑ Did Boas Get It Right or Wrong? ↑ Jakobson, Roman; Boas, Franz (1944). "Franz Boas' Approach to Language". International Journal of American Linguistics. 10 (4): 188–195. doi:10.1086/463841. ↑ Mackert, Michael (1993). "The Roots of Franz Boas' View of Linguistic Categories As a Window to the Human Mind". Historiographia Linguistica. 20 (2–3). ↑ Darnell, Regna (1990). "Franz Boas, Edward Sapir, and the Americanist Text Tradition". Historiographia Linguistica. 17 (1–2): 129–144. doi:10.1075/hl.17.1-2.11dar. ↑ Postal, Paul M. (1964). "Boas and the Development of Phonology: Comments Based on Iroquoian". International Journal of American Linguistics. 30 (3): 269–280. doi:10.1086/464784. ↑ Lewis, H. S. (2001). "The Passion of Franz Boas". American Anthropologist. 103: 447–467. doi:10.1525/aa.2001.103.2.447. ↑ Liss, J. E. (1998). "Diasporic Identities: The Science and Politics of Race in the Work of Franz Boas and W. E. B. Du Bois, 1894–1919". Cultural Anthropology. 13: 127–166. doi:10.1525/can.1998.13.2.127. ↑ Browman, David L. (2011). "Spying by American Archaeologists in World War I". Bulletin of the History of Archaeology. 21 (2): 10–17. doi:10.5334/bha.2123. ↑ Baker, Lee D. (2004). "Franz Boas out of the ivory tower". Anthropological Theory. 4 (1): 29–51. doi:10.1177/1463499604040846. ↑ Beardsley, Edward H (1973). "The American Scientist as Social Activist: Franz Boas, Burt G. Wilder, and the Cause of Racial Justice, 1900–1915". Isis. 64: 50–66. doi:10.1086/351043. ↑ Briggs, Charles; Baumann, Richard (1999). "The Foundation of All Future Researches": Franz Boas. George Hunt, Native American Texts, and the Construction of Modernity". American Quarterly. 51: 479–528. doi:10.1353/aq.1999.0036. ↑ Jacknis, I (2002). 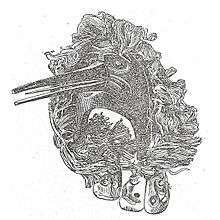 "The First Boasian: Alfred Kroeber and Franz Boas, 1896–1905". American Anthropologist. 104: 520–532. doi:10.1525/aa.2002.104.2.520. Bashkow, Ira (2004). "A Neo-Boasian Conception of Cultural Boundaries". American Anthropologist. 106 (3): 443–458. doi:10.1525/aa.2004.106.3.443. Bunzl, Matti (2004). "Boas, Foucault, and the 'Native Anthropologist'". American Anthropologist. 106 (3): 435–442. doi:10.1525/aa.2004.106.3.435. Kroeber, Alfred (1949). "An Authoritarian Panacea". American Anthropologist. 51 (2): 318–320. doi:10.1525/aa.1949.51.2.02a00210. Glick, Leonard B (1982). "Types Distinct from Our Own: Franz Boas on Jewish Identity and Assimilation". American Anthropologist. 84 (3): 545–565. doi:10.1525/aa.1982.84.3.02a00020. Frank, Gelya (1997). "Jews, Multiculturalism, and Boasian Anthropology". American Anthropologist. 99 (4): 731–745. doi:10.1525/aa.1997.99.4.731. Wikimedia Commons has media related to Franz Boas.